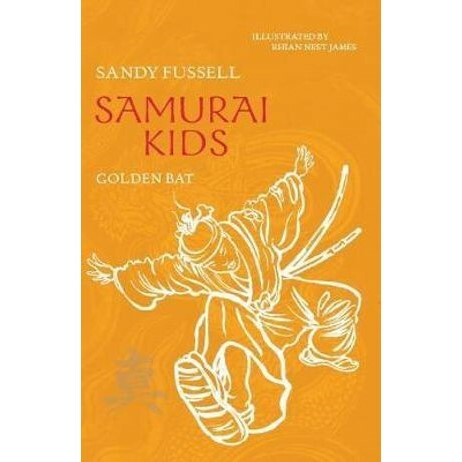 The sixth instalment in a unique series about a special group of kids training in the ways of the samurai. The Little Cockroaches are stuck on Cheju Island until they fulfil a promise made to the famous Chinese pirate captain, Dreaded Oong. The Daejeong County magistrate has kidnapped Dreaded Oong's nephew and Sensei and his students must convince the power-hungry magistrate to release the boy. But when Sensei is badly injured, everything changes - including Sensei's agile mind. Can the samurai kids continue the journey and help Sensei? Rhian Nest James has been working as a freelance illustrator for many years after graduating from Exeter College of Art with an Honours Degree in Illustration. She has produced illustrations for a wide variety of publishers and organisations but her speciality is children's books having illustrated over 60 children's books and contributed illustrations to many more. Rhian moved to Sydney from her native Wales in 2002 and she continues to illustrate for others and work on her own projects. She has also illustrated the award-winning fiction title Toppling written by Sally Murphy and has illustrated Lollylegs by Pamela Freeman due for release in March 2011.